BHRC has issued an interim report regarding the case of 70 Kuwaiti defendants convicted of public order offences following protests at the Kuwaiti National Assembly in 2011 and sentenced to prison terms of up to nine years. Weston and Weatherby in the Court of Cessation with the father and lawyer of one of the accused and Tahar Boumedra, the organiser of the observation. 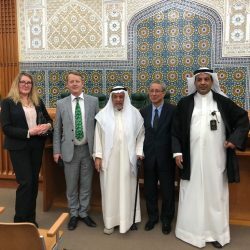 BHRC Executive Members Amanda Weston QC and Pete Weatherby QC attended a hearing at the Kuwait Court of Cassation on 6 May 2018, in relation to the above case, relating to an anti-corruption demonstration. Thirteen of those convicted are current or former parliamentarians. All of the defendants had been acquitted by the trial court, but the Court of Appeal reversed the verdicts and handed down lengthy sentences. The matter is listed before the Kuwaiti Court of Cassation on 8 July 2018. The advisory judge to the Court of Cassation has recommended that the verdicts of the Court of Appeal cannot be upheld because the defence was not given the opportunity properly to present its case. However, the Court is not bound to follow this recommendation. BHRC have been asked return to observe the above hearing and will produce a further report following that observation. The appellants – MPs and anti-corruption protestors – were acquitted by the trial court. 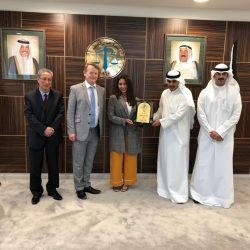 The advisory judge to the Cassation Court has given an opinion that the reversal of the acquittals by the Kuwaiti Court of Appeal should not be upheld because the Court did not allow the defendants to put their case: a stark violation of A34 of the Constitution and basic international fair trial rights under A14 of the International Covenant on Civil and Political Rights to which Kuwait acceded in 1996. This is an important case with respect to the rule of law in Kuwait and whether due process is protected in protest and dissent cases.